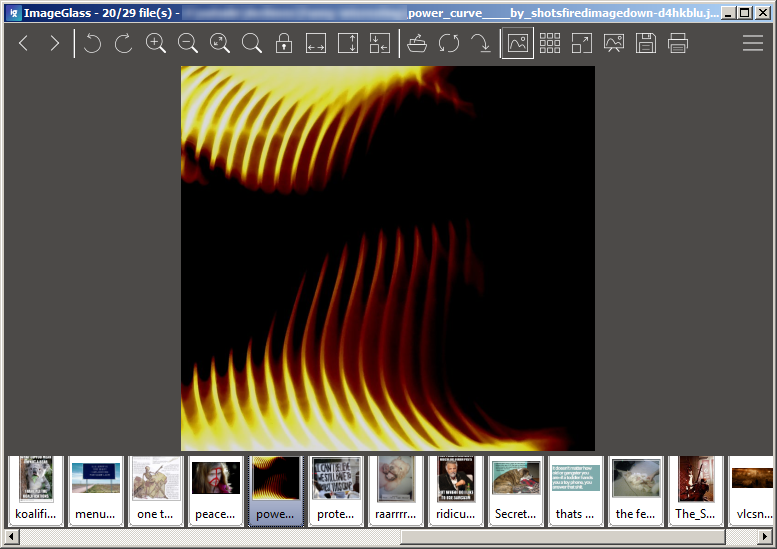 A simple image editor with a tabbed thumbnail interface and basic transformations. Good file type support, including SVG. Claims to be lightweight, using about 30 megs of RAM on my Win7x86 machine. I'm on the fence about it just because I'm so happy with PhotoDemon. ImageGlass v5.5.7.26 released, dated 2018-07-29 (changelog at https://github.com/d2phap/ImageGlass/releases/).